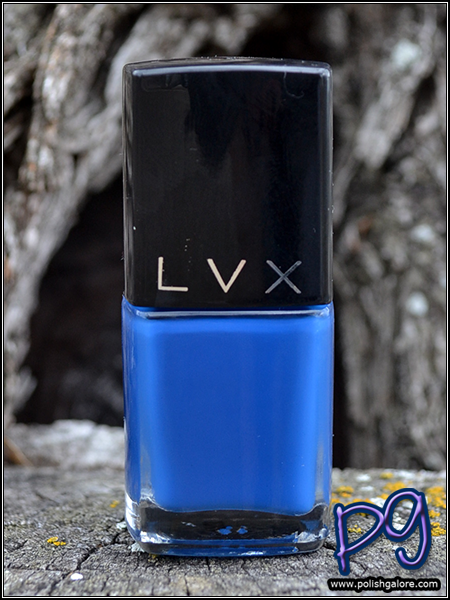 Today is the last day of the LVX sale on Gloss48 as well as the last day of my Rafflecopter giveaway for the entire collection so here's the last polish from the Spring 2014 collection! 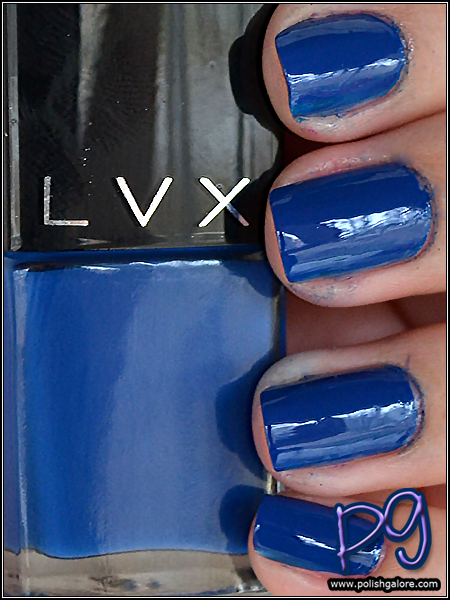 This is LVX Monaco - a bright smurf blue creme. I used a base coat of Cult Nails Get It On, 2 coats of polish and a top coat of Digital Nails Ain't Nobody Got Time For That. Real talk ladies and gentlemen. This color was not up to my normal LVX par. You can see how messy it is all over my cuticles. I couldn't get this polish to just plain behave. The formula itself wasn't bad, but it was just a parasitic mess. More frustratingly, I wore this polish for about 30 minutes before removing and I had staining. Now, I may have been able to avoid that by using a different base coat or two coats of base coat but frankly what I did, didn't work. I was able to just clean my nails with a nail brush, soap and water - so no big deal in the LONG run but boo hiss. I do think this is more attributed to the color, not the brand. LVX [Website | Facebook | Twitter | YouTube | Instagram] is available on their website for $18 a 15 ml/0.5 oz bottle. It is big 5 free to include Toluene and Camphor, vegan and cruelty free. essence cosmetics now available in Walgreens!